Cheap gazebo wedding decorations don't need to look cheap, they can look amazing and since they are such a focal point that is probably a good thing! More and more couples are choosing to get married outdoors; garden weddings, beach weddings, the local park and even your backyard. It is usual to hold the ceremonies in a gazebo. 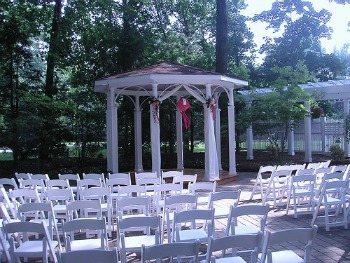 Decorating the gazebo therefore becomes the focal point of the whole ceremony that is, aside from the bride and groom. There are gazebos with an area just enough for the couple and the officiating minister. 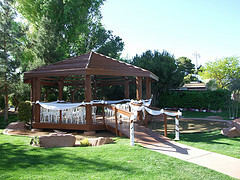 There are gazebos that are larger than most and could seat the whole wedding entourage. Decorating the gazebo is not that hard. It would be fairly easy if you could just hire a decorator, tell her/him what you want including your budget and you'd probably end up with a hassle-free gazebo wedding decorations. However that takes out the fun (and stress) of planning for the gazebo décor and would probably double, even triple your budget. What to do? 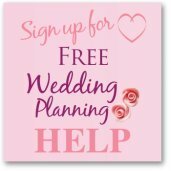 Search for ideas online and find the right scheme to fit your wedding theme and budget. There are so many gazebo wedding decoration ideas that could add to the ambiance of the occasion. Settle on theme so you can plan ahead. A nice and totally in sync theme is a nature theme. Since the wedding and reception will be held outdoors what better way to decorate the gazebo than by literally decking it with real plants and foliage. You can drape vine in swag around the eaves of the gazebo or wind vine over the handrail and posts. Plant annuals on shallow pots months before the wedding so you can lay them on the perimeter of the gazebo and cover them with mulch to make it look that the annuals are part of the gazebo. This is an inexpensive option. You can even use the flowers in your home after your wedding. If the wedding is at sunset, make sure you include fairy lights around the gazebo. If you need candles for the ceremony, make sure they come with protective glass casements to avoid accidentally being blown out by a waft of wind. If you must use ribbons, settle for big pull bows. You cannot use little bows as they will be dwarfed by the bolts of tulle or satin that you will swag around the gazebo's rail. You can also choose to decorate each gazebo post with yards and yards of curled ribbons in the wedding color motif. String some flowers and let them hang from the posts too. To complete this bow and flower theme, finish off with those tiny fairy lights hanging from the eaves in varied lengths. Tulle is a popular gazebo wedding decoration. It is inexpensive and comes in different widths and colors. 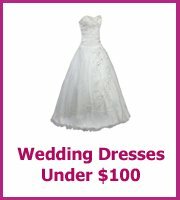 The best color to use for a wedding is cream as white could be tacky. 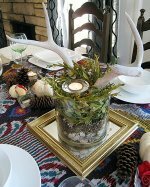 You can drape or swirl the tulle around the banisters or swag them around the eves and posts. You can loop it on the gazebo's base and hang tulle curtains from each post. Let them flutter in the wind or tie them on the posts with nice ribbons. Accent each post with a large flower arrangement with ribbons the color of your motif. 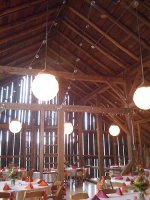 Hang small lanterns or multi-length fairy lights all around the perimeter of the gazebo for light play. You can even make an aisle from a starting point straight to the gazebo for the bridal march. Ideas for gazebo wedding decorations are limitless. You just have to think outside the box.